Hello everyone: Well, I'm continuing to increase my Christmas card stash by playing with some Christmas challenges, by the time the Holidays come by, I will be set. I think I'm going to do the same for Halloween and Thanksgiving, we seem to neglect this other fun Holidays and, when they arrive, there we go, scrambling to make some cards to send to family and friends. So here is my card, hope you like it, I will link it up to a few challenges at the end of this post. 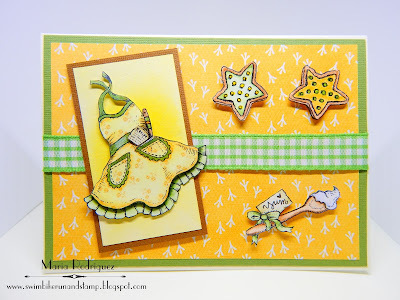 This super cute image is from Stamping Bella and it's called Season Greetings and I think it's just adorable, looking at this little sweetie hanging on to that candy cane, blowing in the wind, is so funny and endearing at the same time. I stamped her onto a panel of Strathmore water color paper with Stazon black ink and colored it with SU markers and Sakura Koi water colors for highlighting and shading. Then, I made a mask of this image to sponge the sky with Tumbled Glass and Broken China DI. 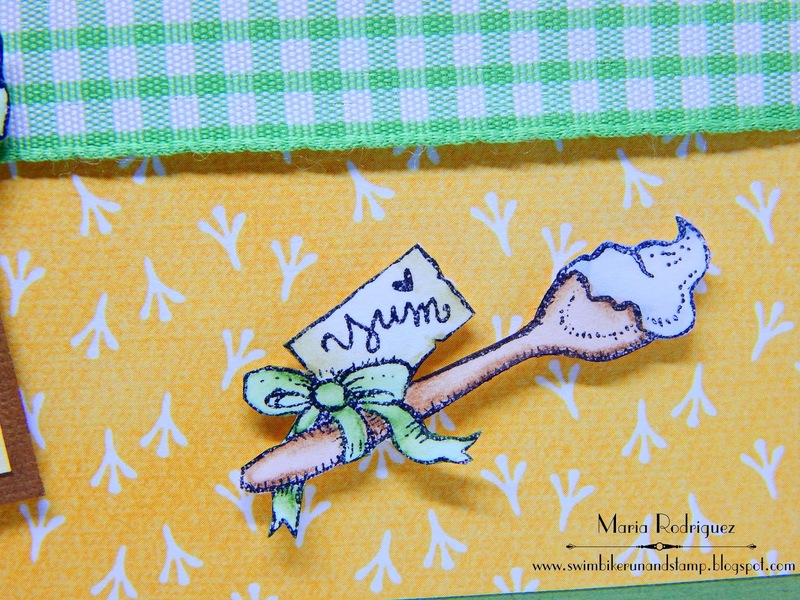 I used my snow stencil with embossing paste to make the snow look more textured, I applied some of it to the snow bank where the candy cane is anchored, I love this stuff, it gives so much dimension and texture to your cards. The pattern paper and the ribbon are from my Christmas stash. The sentiment is from a Power Poppy set called Cozy Cupfuls and the little mitten is from another Power Poppy set called Merry Littles. 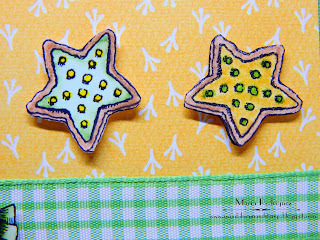 The Merry Christmas Challenge "Anything Christmas, optional theme Gingerbread"
Sparkles Christmas Challenges #76 "Snowflakes"
Craft-Dee Bowz "Anything Goes include a handmade bow"
Christmas Cards All Year Round May Challenge "Precipitation"
Hello dear blogging friends: Well, we at THE FLOWER CHALLENGE, have reached challenge #8 and this time the theme is "CASE a Designer Team Member".....which basically means, you can check out all the cards from US and CASE them, you don't have to make them exactly alike, just take our cards and make a version that it's all your own. You can CASE the style, the colors, the design, the technique, etc. So, here is my card, I hope it inspires you to maybe, possibly CASE it, ok? 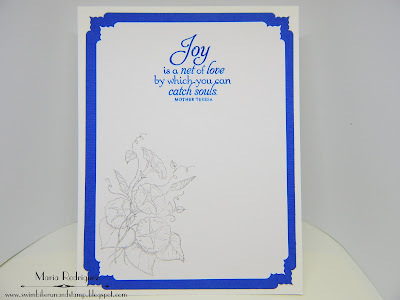 This image is from a retired Flourishes set called "Picking Wild Flowers", (images by Marcella Hawley). 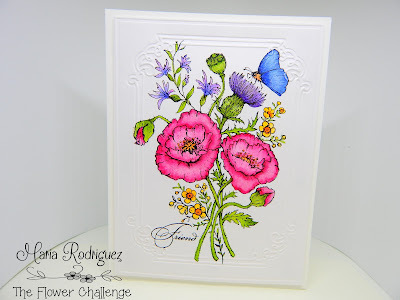 I stamped this beautiful bouquet onto a piece of Strathmore water color paper with Stazon black ink and colored it with a few SU markers and my Sakura Koi water colors. I need to get some real good water color brushes but, at the moment I had to make due with an empty Wink of Stella pen. I kind of took this pen apart, filled the empty chamber with some water, rinsing the precious glitter in the process trying not waste any, then I just put the pen back together and used it as my brush, I was so happy that the shimmer was transferred to my flowers. After I was done coloring it, I embossed it with a Cuttlebug embossing folder that, for the life of me, I just can't remember the name of it, sheeesh!! If you recognize it, please let me know the name,ok? 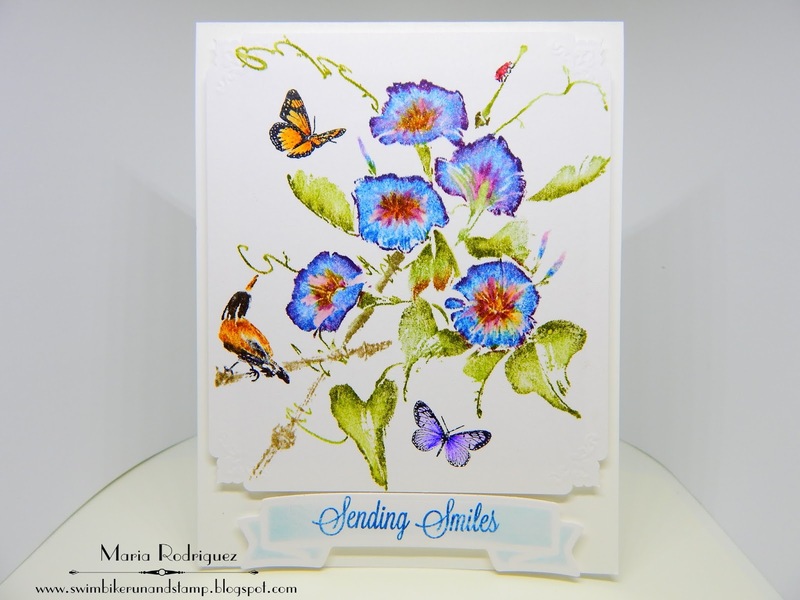 Both sentiment and butterfly are from this pretty set. 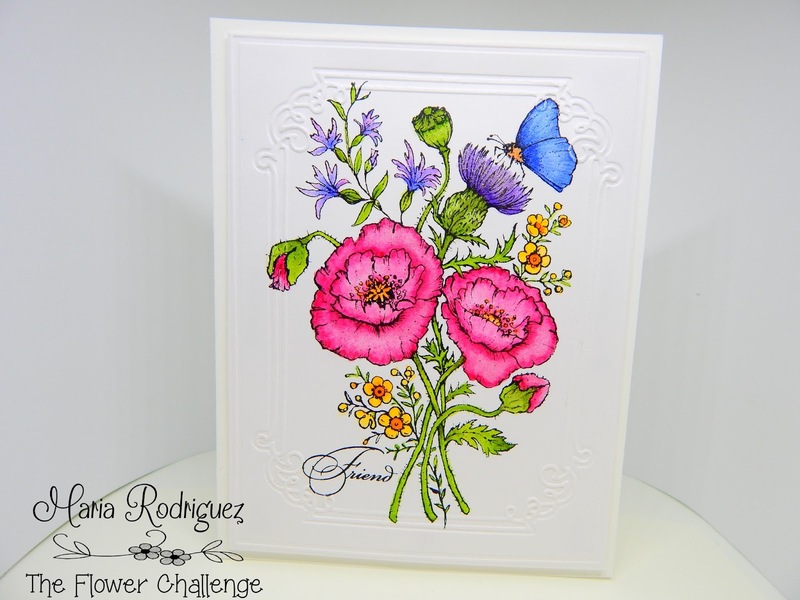 So, there you have it, I hope this card inspires you to join my teammates and I in THE FLOWER CHALLENGE gallery, you can CASE me or my teammies so check out their awesome cards in the gallery and come and play along. 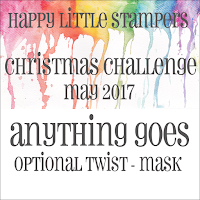 Please, when you upload your beautiful creation onto the gallery, copy our banner for this challenge on your post. 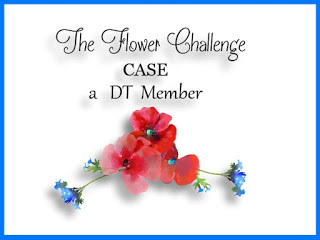 Also, you can enter up to 10 other challenges, including ours and don't forget to make flowers be the main focus on your card, but most importantly, have fun, fun, fun!! 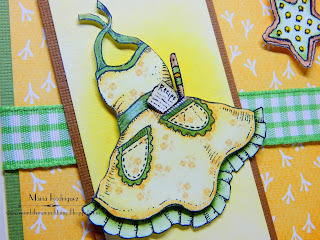 LiveLoveCards May Challenge "Anything Goes"
Poppy Stamps Challenge #32, "Flower Power"
Creative Sketchy Girls Challenge #11 "Butterflies and or Flowers"
Craftaholics R Us May Challenge "Spring Colors or Flowers"
Country View Challenges May Challenge "Flower Power"
This cute little apron image is from my retired stash of Flourishes stamp sets, this particular set is called "Fresh Baked", all images are from the very talented Marcella Hawley) the spoon and cookies are from this set too. 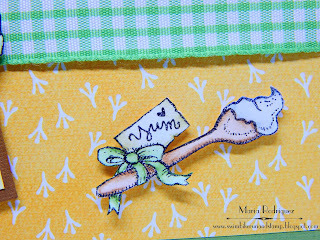 I stamped the apron 3 times, once on a piece of Lili of the Valley pattern paper because I wanted the little yellow flowers on it, then, I stamped the ruffle and the little recipe and wood spoon sticking out of the little pocket on to some scrap water color paper, colored it and fussy cut them, I made a cut right on the top of that apron pocket to stick the recipe to make it look like it's actually sticking out of it, then I put some dimensional foam under the skirt of the apron after I did a bit of shading with Prismacolor pencils, and attached it to the ruffle, then I put a few more foam dimensionals behind the apron and attached it to a panel of cream card stock that I sponged with a bit of Hello Honey ink, the spoon and cookies were also colored and fussy cut and attached with foam. Here are some close ups of this images. 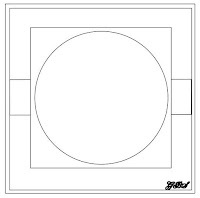 I didn't use one single die to create this card, just my paper cutter to cut the panels. 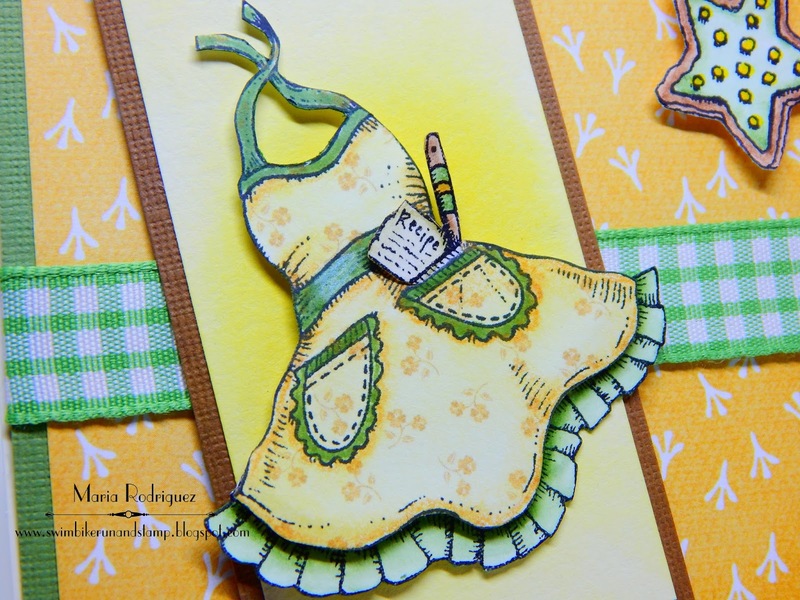 I hope you find some time to play along with us over at SHOPPING OUR STASH, for more inspiration please visit the challenge blog and check out my teammates awesome creations. Hello everyone: Well, I'm late posting this card, been busy all day with yard work, grandkids orthodontic appointments and doing some of my prep work for my planned meals for the week, I had to postpone writing this post due to all of that other stuff I had to do today. But here is my card, I will link it up to a few challenges at the end of this post. This image is from Penny Black and it's called Trumpet Song. This is a big stamp and it's one of those images that you color with your markers directly on the rubber, it looks like you actually took some brushes and painted this flowers with awesome brush strokes. 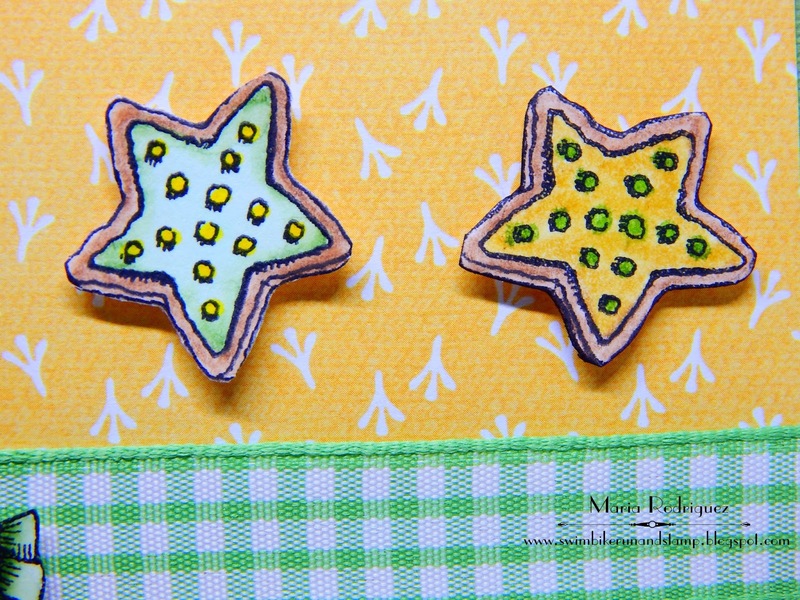 I saw this technique HERE done by Virginia Lu and I really got so fascinated that I went ahead and bought the stamp she is using on this video. Since then, I've bought 3 other stamps and I love them. 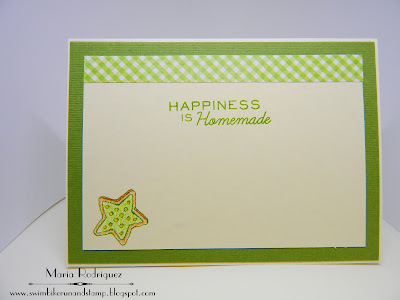 I use my Stampin' Up! markers and a bit of water from a spray bottle, I added a few details with the fine tip of the markers, a couple of butterflies and a banner sentiment. The sentiment and flower are from old Flourishes sets. 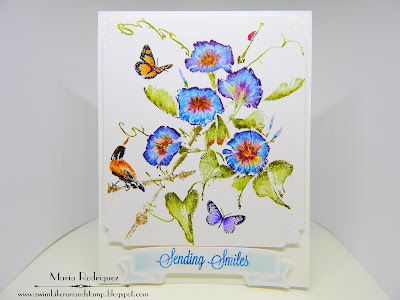 Addicted to Stamps Challenge #147 "Flowers and Butterflies"
Glitter "N" Sparkle Challenge #237 "Flower Power"
Penny Black and More "Spring Challenge"
613 Avenue Create challenge #196 "Spring has Sprung"